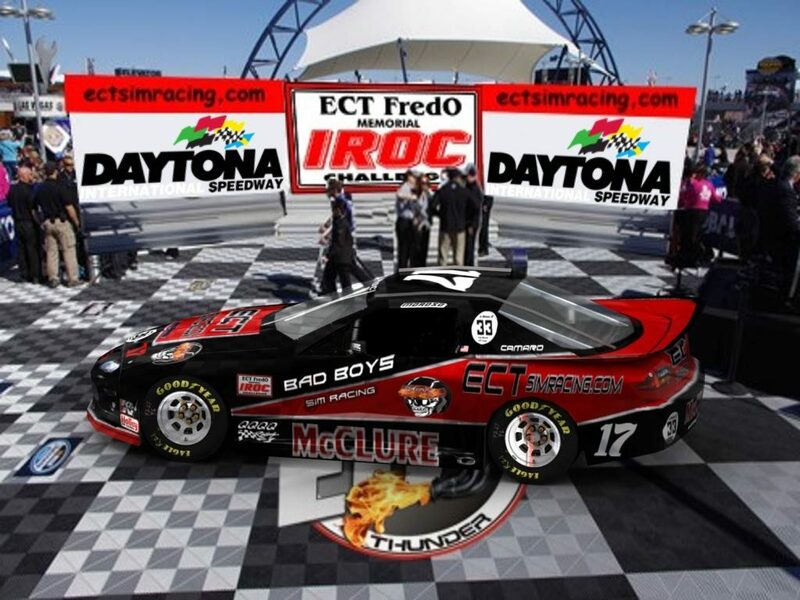 Our very own ECT Redchevy, Chuck McClure takes home the victory in the ECT Fredo Memorial IROC Challenge Season Opener under the lights at Daytona. 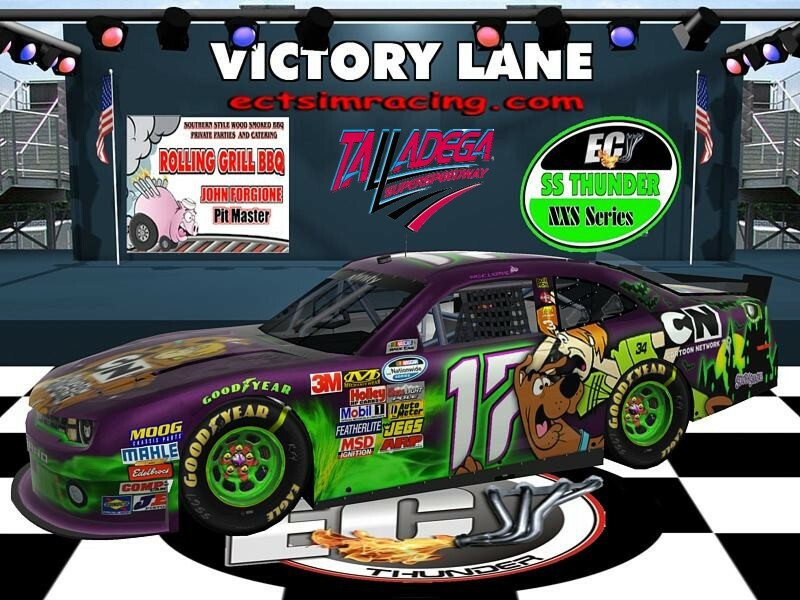 Congratulations to Chuck “ECT Yellow Bus” McClure on his win in the season opener !!!!!!!!!!!!!!!!!!!! 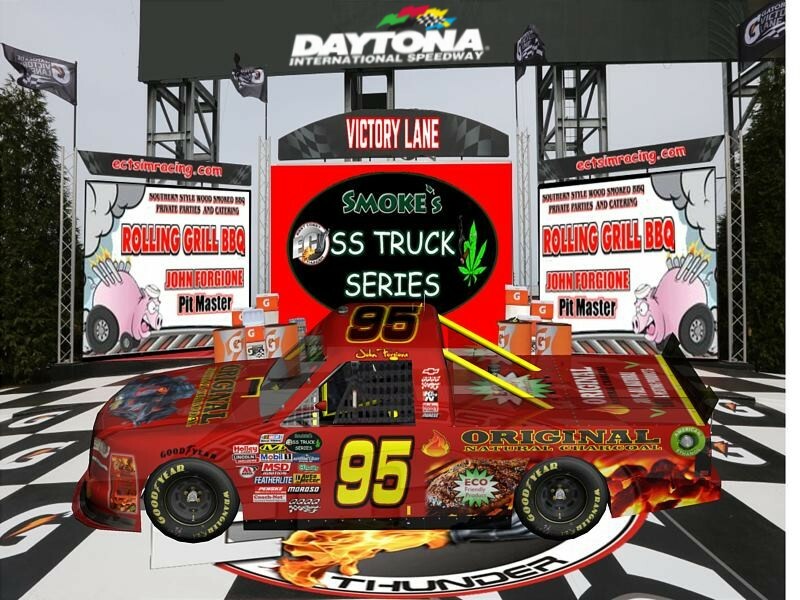 -ECT-FDIESEL95 aka John Forgione wins season 19 opener at Daytona with the help from -ECT-LEEDOG, aka Lee Helmer finishing second respectfully, in the ECT “SS SMOKES ” Truck Series. 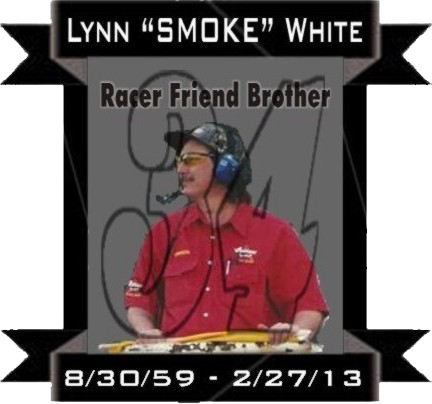 Congratulations to -ECT-Q, aka Bruce Phalin! Bruce picked up in series 19 2where he left off in Series 18. 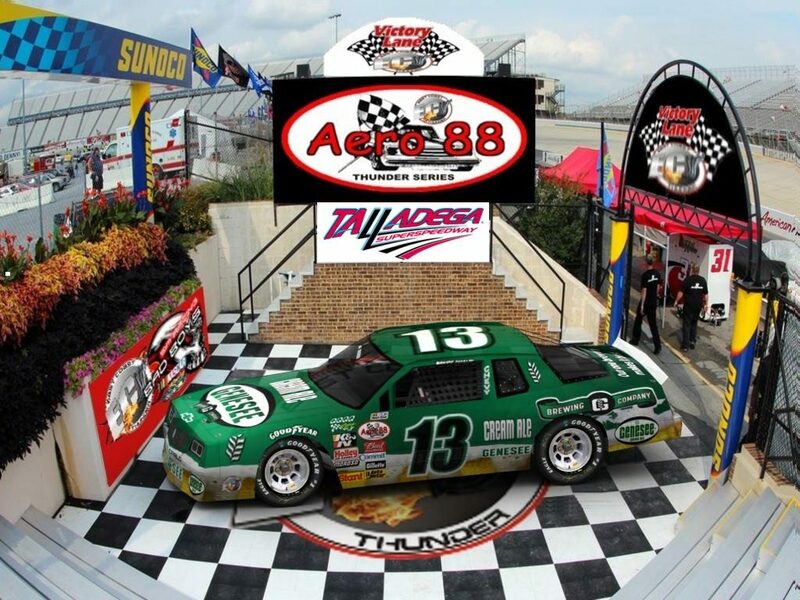 “Q” took the win at Talladega! Congrats Bruce!! 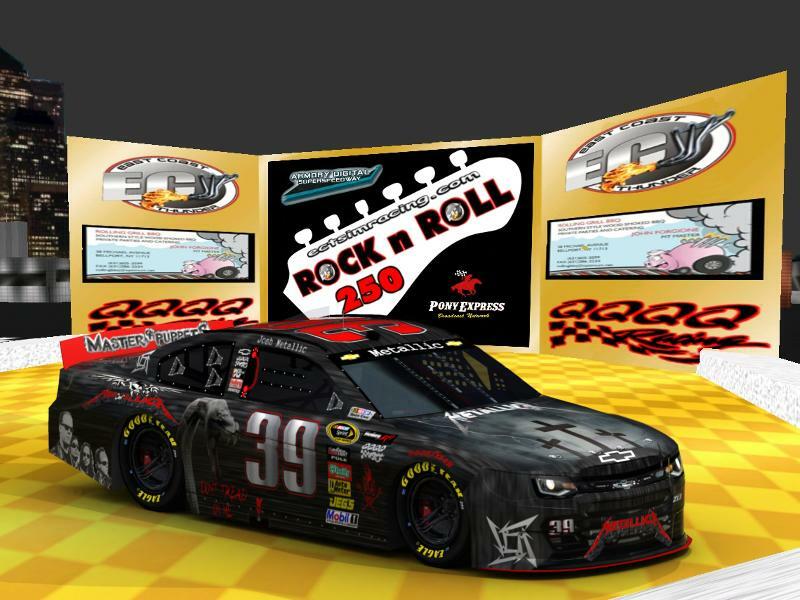 Congratulations to Josh Metallic who piloted the #39 Metallica car to a hard fought victory !!!!!!!!!!!!!!!!! !